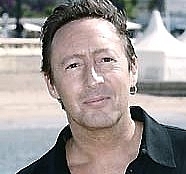 Julian Lennon (born Liverpool, UK, 8 April 1963), the elder son of the late Beatle John Lennon, debuted as a singer-songwriter in 1984 at age 20 with the album Valotte. It earned him a Grammy and sold 1.5 million copies. That album featured the two 80s pop hits "Too Late For Goodbyes" and "Valotte". After four more albums and generating millions in sales, Julian became frustrated with the music business, his record company and the lack of control he had over his music and career. In spite of his commercial success, in the mid-90s he decided it was time to walk away from the business. He returned in 1999 as an independent artist with his self released fifth album, Photograph Smile. Although he enjoyed creative control over music and was receiving critical acclaim for it, the business of music and the same old so-called music business regime that ran it again disenchanted Julian. He again stepped away from the industry. Now, with with the emergence of the Internet giving artists the ability to take their music directly to the people, Julian is returning to the music world with a new album and tour scheduled for release in early 2010. Through his new company theRevolution, along with his partner Michael Birch (founder of Bebo), Julian plans to take his music directly to the listeners utilizing the Internet to re-introduce himself and his music to the world. As Julian puts it "it's time to turn the music business into the musician's business and "communicate directly with the people listening to my music". Julian expressed excitement and the desire to embrace music again. Julian has a positive relationship with his brother, singer-songwriter Sean Lennon, that has led them to collaborate and tour with each other. Subscribe to Julian Lennon RSS Feed to get latest lyrics and news updates. 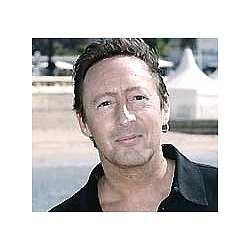 What do you think about Julian Lennon? Let us know in the comments below!